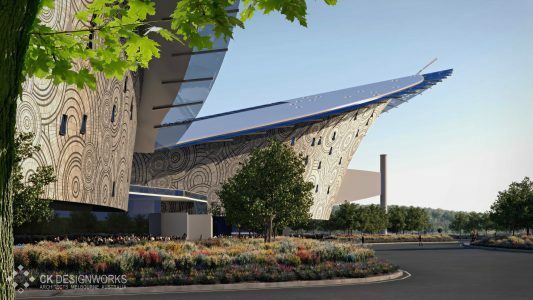 The inspiration for the new Civic Centre came from the Chinese story of the ‘rain flower pebbles and butterflies’. The brief was a 20 sq km Master plan, with the Civic Centre as one of six primary focus buildings intended to engender a sense of place to six sub-sectors within the overall master plan. 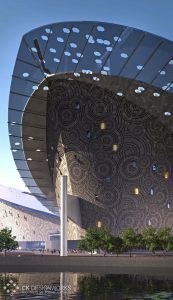 We envisaged the building as an architectural sculpture, derived from the narrative of the indigenous rain flow pebbles, which were said to have fallen from the clouds as flowers and solidified as jeweled pebbles when they touched the earth. 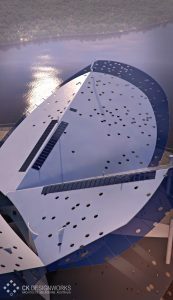 The sculptural form of this building seeks to encompass the moment of transmogrification where the ephemeral element solidifies into an object. 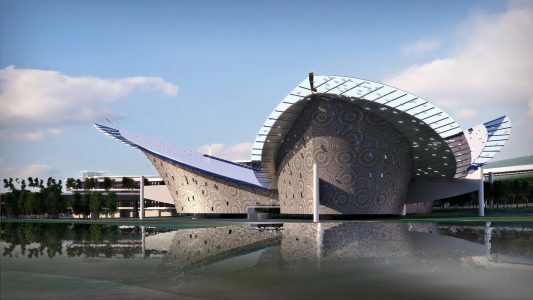 The building was designed to provide Retail, Entertainment, Municipal, Theatre, Cinema, Lecture and Function spaces for the immediate community in the Lao Shan District but also service the wider community.